You know the song, “It’s the most wonderful time of the year!” Unfortunately for many Americans, the holidays aren’t all mistletoe, family gatherings, and yuletide cheer! Amidst the candles, services, traveling and eating is the strain of budgets, finances, and past due credit card bills. Even for those who are blessed with significant financial resources, sometimes holiday budgeting is goal worth aiming for this time of year. It’s so challenging, but making and keeping a budget during the holidays can ward off extra layers of stress and keep spirits high. When you’re not thinking about money, you have more mental and emotional energy to focus on the things that really matter. Here are a few helpful hints for sticking to your budget this holiday season. You see them every year… people wandering through the local mall just a day, maybe two if they’re lucky, before a gift exchange. Create your gift list ahead of time; know what you want to give and about how much it will cost, and then jump on the deal as soon as it’s available! 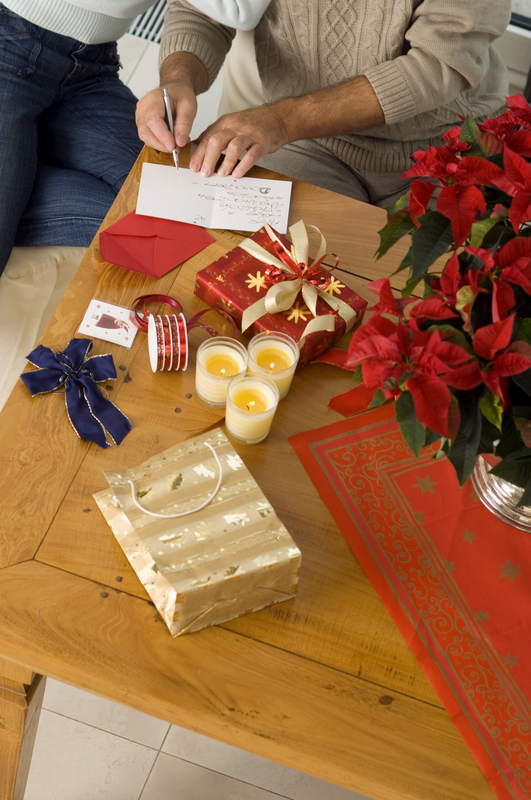 An easy threat to a holiday budget is poor upfront communication. Make sure that you’re not alone in your financial endeavors. Having a family member or loved one unintentionally undermine your financial efforts causes additional strain and stress on relationships. If you have children who are used to lavish holidays, consider hosting a family meeting to let them know upfront what may be changing. Be honest and realistic. Children especially understand more than we give them credit for. One of the greatest expenses during the holidays is travel. Consider driving instead of flying if your location isn’t too far away. If you live in a more urban area, sometimes driving a bit further to a slightly more distant airport could save you hundreds. Use credit card or airline miles to book reward travel where possible. And when comparing flight costs, remember to check airlines, such as Southwest or Spirit who don’t participate in cost comparison sites, such as Orbitz or Travelocity, as a better deal might be available than what they are showing you. Trimming your travel can significantly ease the strain of holiday finances. If you’re the lucky family member that gets to host Thanksgiving dinner or a holiday party, putting on a full feast can be frighteningly expensive. Instead of putting on a huge meal, consider making your party a potluck. You provide the location, the drinks and the main entrée, and let everyone else bring along a salad, side dish or dessert. Everyone has a favorite holiday dish and more often than not, they’ll be eager to share. Not only does hosting a potluck help you stay on budget, it also allows your guests to get in the holiday spirit. Holiday decorations account for a large proportion of holiday expenses. 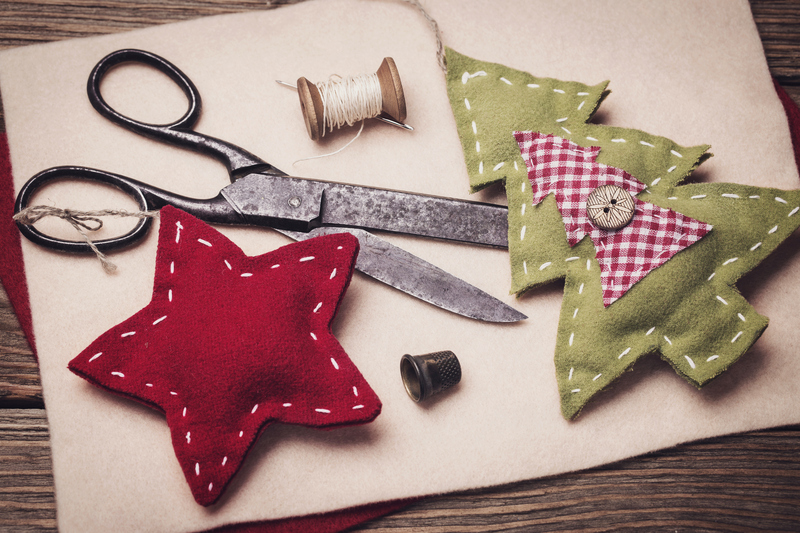 Consider rallying the holiday creative spirit within and making homemade decorations to liven your home. Social sites, such as Pinterest and Etsy have a million and one good ideas from “do-it-yourself” fanatics with more ideas than anyone ever thought possible. If you cannot find supplies around the house and you find yourself in need of a local hobby or craft store, make sure to go on the company’s website before you buy for coupons and deals. Homemade decorations can help with holiday budgeting, and are also a good deal of fun! Be realistic about financial resources. No matter how large or how small your budget for the upcoming holidays, always be realistic about your financial resources. Company marketers and advertisers are paid good money to convince you and your family members that you NEED their products in order to prove how much you love or care about someone during the holidays. Resist! How much you love someone isn’t determined how much you spend on them, and how much you are loved isn’t measured by how much you receive. Know your financial reserves and give without guilt according to your means, no matter how humble that might be. Cut your holiday card list. With the cost of cards and stamps on the rise each and every year, consider sending out an e-card instead of mailing cards and pictures to everyone. If you’re a purist like me and cannot stand the thought of not sending our physical cards “snail mail” style, an easy way to cut expenses during the holiday is to reconsider who is on your holiday card list. Undoubtedly over the years, a few people have slipped onto the list that may not really need to be there. Create new holiday entertainment traditions. 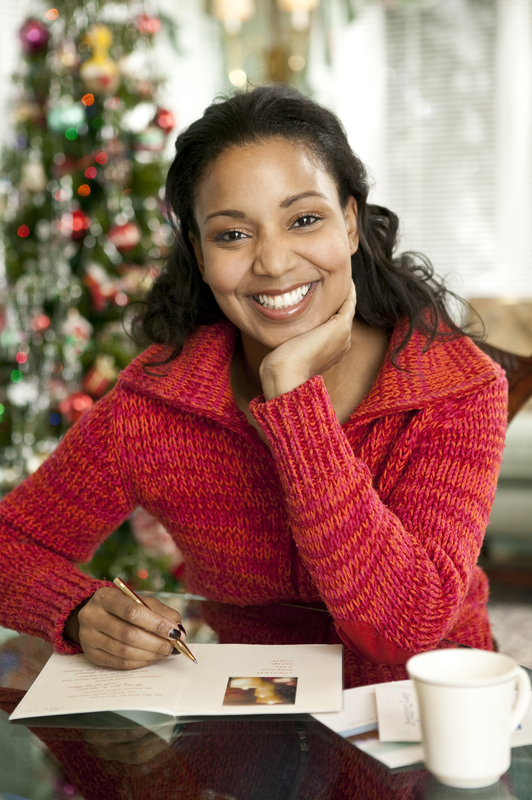 Holiday budgeting is a good way to alleviate stress during this busy time of the year. Once you’ve put together a budget, use these helpful tips to stay on target with your expenses this winter season.